In this blog post we examine various aspects of how to facilitate effective meetings. It’s a topic clients ask us about a lot. But why? Why Worry about Effective Meetings? Given trends around the future of work and an increasing need for innovation in organizations, having meeting facilitation skills is all the more important. Productive meetings, collaboration, and participation in decision-making become a distinct competitive advantage as we are required to work more collaboratively, digitally, and in different locations. Unproductive meetings are estimated to cost more than $37M USD per year. Unfortunately, too many meetings lack in effectiveness and productivity. Instead, meetings have a reputation for wasting money and sucking up time. Unproductive meetings are estimated to cost more than $37M USD per year. While most people I know see time as a scarce resource, they keep agreeing to attend meetings that are clearly wasting their time. An estimated 15% of an organization’s collective time is allocated to meeting; shouldn’t we make sure they are effective? Senior managers spend approximately 50% of their time in meetings and consider 69% of meetings to be failures. Good meeting facilitation can help reverse this trend. An effective meeting has a clear purpose and outcome. One of the key roles in a meeting is that of the sponsor or decision-maker. Typically this person is also in attendance at the meeting. This sponsor or decision-maker is sometimes referred to as a “Client”—one who is motivated to achieve a particular outcome in the meeting. Thus, an effective meeting, in the eye of the Client, is one where their outcome is achieved. The success of a meeting lies in large part with the meeting facilitator. The success of a meeting lies in large part with the meeting facilitator. Using their facilitation skills to help the client and the other meeting participants realize the meeting’s purpose and achieve its expected outcome is the facilitator’s job. We’ll go over the skills required of a good meeting facilitator, but first, let’s take a look at what it means to facilitate a meeting. What does it mean to facilitate a meeting? The word “facilitation” comes from the word facile, which means working or moving easily; to make easier or help bring about. Facilitation helps to support change in organizations, cultures and society. Research shows that people who have the opportunity to participate in and influence decisions about their future have a greater likelihood of supporting those decisions and the resulting changes. A meeting that is facilitated effectively allows for this participation, allows many viewpoints to come to the table and ultimately improves decision-making. When we apply a deliberate process for thinking and we agree to work in a respectful way, we think better together. Thinking better together results in successful and productive meetings. A facilitated meeting, of course, requires a meeting facilitator. What is a meeting facilitator? A meeting facilitator is skilled in helping a group work together to successfully solve problems, make decisions, and reach the desired outcome. The meeting facilitator plans and supports the process of the meeting. A facilitator is trained to control the process of a meeting, does not provide content and has no decision-making authority. Since content and decision-making are the bailiwicks of the Client, it is possible for a facilitator to facilitate a meeting where they have no content knowledge. The facilitator helps the group manage the information they already possess or can access[i], and manages the process of interacting with that information through discussion, ideating, using the information to develop solutions and moving towards the desired outcome of the meeting. Meetings need to be tightly facilitated by someone with the background and training to know what process and facilitation skills are needed and when. Meetings often involve wide-ranging and sometimes contentious discussion. There is a need to provide ideas, propose solutions, reach decisions and realize outcomes. Meetings, therefore, need to be tightly facilitated by someone with the background and training to know what process and facilitation skills are needed and when. This training leads them to work using professional principles, values and ethics. The International Association of Facilitators has developed industry standards for values and ethics for facilitators. Who is the facilitator in a meeting? In a meeting there are typically three parties: the meeting Facilitator, the Client and the Resource Group. The Facilitator’s job is to guide the meeting participants towards the outcome in a way that is inclusive, collaborative and productive. The Client sponsors the meeting, works with the facilitator to set the desired outcomes, is responsible for decision-making, and provides the background and content participants need to contribute productively in the meeting. Some examples of Clients could be an executive or the manager of a team, an organization or a project. The Resource Group role can be played by any number of people. It typically falls to stakeholders or the members of a team or project, typically the people reporting to the Client. The Resource Group is responsible for contributing their thinking, ideas, insights, energy and fresh perspectives to the issues being discussed in the meeting and to the desired outcome. Depending upon the type of meeting, the Client, in the role of team leader or manager, may be tempted to take on the role of facilitator. This poses a bit of a challenge, because an effective meeting facilitator is content neutral. Depending upon the type of meeting, the Client, in the role of team leader or manager, may be tempted to take on the role of facilitator. This poses a bit of a challenge, because, as explained above, an effective meeting facilitator is content neutral. The facilitator should have no decision-making authority or influence on the work of the group, whereas the Client role does. In addition, the facilitator cannot be a part of the discussion, contribute ideas, or give an opinion. The facilitator is concerned with the process of the group interaction only. Obviously, as someone intricately involved in the content of the meeting, the manager should not take on the facilitation role. So what do you do when you’re the manager or Client and you want to also play the role of the facilitator? Assuming the Client is a trained facilitator, with some skill and planning the Client could play both roles. It’s important to separate the roles and make it clear when you’re wearing your Client hat and when you’re wearing your Facilitator hat. There are other options. If your organization has trained facilitators on staff, draw from them, or give the role of facilitator to another team member. This works especially well for regular team meetings. Alternatively, hire an outside resource to facilitate the meeting. The facilitator is charged with helping the group reach the Client’s stated outcome. The facilitator’s role is to plan, design and manage the process of the meeting and to have the facilitation skills to keep the group on-course, moving towards that outcome. The facilitator focuses on creating a balance between participation and results, using fair, open and inclusive means to help the group accomplish their work. Provide clarity on expectations in roles for participation, sharing of information produced during the meeting and next steps. Use proven techniques to get the most out of the time invested. What separates a good meeting facilitator from an average or so-so facilitator? Training, skills, and experience. A good meeting facilitator avoids taking sides. During the meeting, the facilitator should never express an opinion on the matter being discussed or push for a particular point of view. The facilitator focuses instead on creating a balance between participation and results. A good meeting facilitator promotes fair, open and inclusive ways of helping the group accomplish their work. A good facilitator works with the client ahead of the meeting to understand the desired outcome, so that the appropriate process can be used to facilitate discussion and achieve results. Good questioning and listening skills are key to good facilitation. Without much content knowledge, the facilitator must nevertheless know what questions to ask to understand everyone’s viewpoint and make sure that the group understands as well. Good meeting facilitators respect the right of each participant to have an opinion and ensure that everyone has the opportunity to contribute to the discussion. They also respect the right of participants to opt out of discussions when they feel uncomfortable. A good meeting facilitator will use their powers of observation to monitor both the verbal statements and the body language of meeting participants, to check in with how people are feeling, and make sure that everyone is still working together effectively. Go over the rules for the meeting, such as expected norms of behaviour that will guide how participants will work together. If you’d like to know more about how to be a good meeting facilitator, check out this article – Mindful Meetings. There’s a lot of value in getting people together, focused on the same thing and thinking through issues to keep work moving forward and achieve the organization’s goals and objectives. Meetings are meant to drive productivity in the workplace. However, only meetings that are effectively planned and delivered will fulfill that purpose. All the facilitation skills in the world won’t lead to effective meetings without the second key to an effective meeting: a well-designed meeting supported by an agenda. There are two keys to effective meetings. 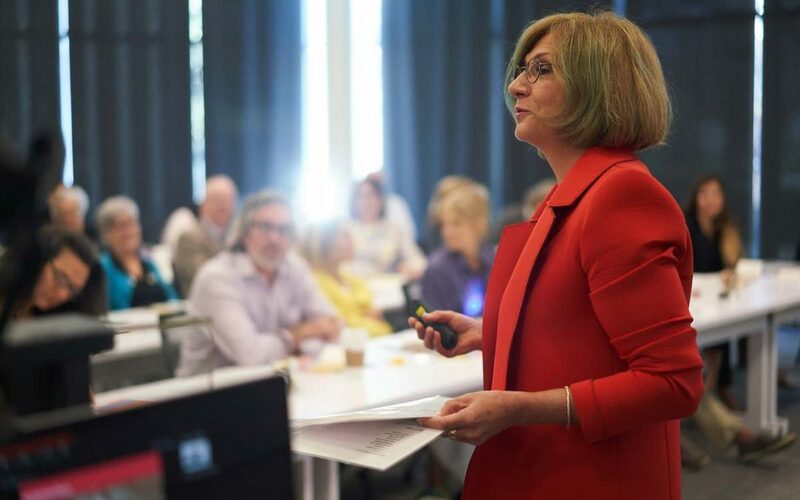 One is effective facilitation and I’ve discussed many of the traits and skills of an effective facilitator in this article. But all the facilitation skills in the world won’t lead to effective meetings without the second key to an effective meeting: a well-designed meeting supported by an agenda. How will we be doing it? If I attend, what’s in it for me? Makes sure invitees are given the opportunity to opt in or out of the meeting. The meeting facilitator should collaborate with the Client on the agenda. A focused conversation with the Client about the purpose, outcome, best environment, proposed attendees, process and meeting format help the facilitator to effectively facilitate the meeting. If your meetings are less than effective and you’d like to give meeting participants an engaging and productive experience, get the BridgePoint Effect. We offer end-to-end meeting facilitation services from planning to design, delivery and results reporting. Our approach is innovative and pragmatic. We bring decisive navigation, forthright dialogue, tireless creativity and a structured process to help you find the most effective, efficient and productive means to help you achieve your goals and outcomes. If you think your meetings could be more effective, call us at +1 437 777 9710, or send us a message using the form below. Contact us to discuss your next meeting.